Privacy is important to homeowners. Having their own space is the goal. Privacy is important to the homeowner. Don’t underestimate the power of privacy. Homebuyers say that privacy and having a space that is solely their own is the leading goal of homeownership. In a recent survey of homebuyer preferences on Realtor.com, privacy even nudged out the much more practical desire of finding a space that addresses family needs. Privacy becomes increasingly important as buyers age up. Other big reasons to buy a home: stability, financial investment and physical comfort. Many are also looking to buy simply because they are sick of their current home. As for the architectural details: Ranches are the most popular style of home (and were dubbed the favorite of 42 percent of respondents—by far, the top choice), the kitchen is the most important part of the home (80 percent say so), and most people are looking for that sweet spot of a three-bedroom, two-bathroom configuration. While most of these preferences held true through multiple age groups, the 35-to-44 range showed slight variations. They were less interested in the ranch style home, and were more prone to requesting four bedrooms, likely because they have growing children. The most searched attributes at Realtor.com were large backyards, garages and updated kitchens. When you are ready to buy a home, contact us here at Dupont Real Estate. 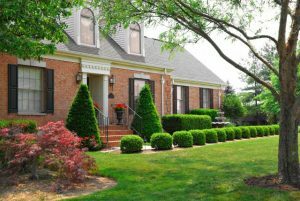 We are one of the most experienced realtors in the Charlotte area.